As Ashley Longshore’s limo rounds the midtown Manhattan corner of West Fifty-Eighth Street onto Fifth Avenue, the New Orleans pop artist and self-described badass melts into tears and utters a few hushed “Oh my Gods.” It’s heart-stirring and spine-tingling at once for the energetic forty-two-year-old. 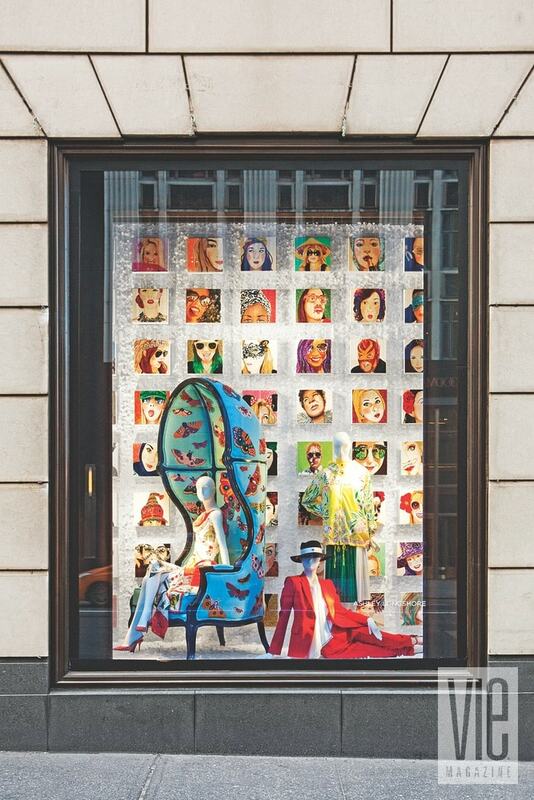 Seeing the wall-to-wall displays of her paintings, furniture, rugs, and sculptures in all six of the world-renowned Bergdorf Goodman Fifth Avenue windows for the first time, Longshore is overwhelmed. A single sentence from the documentary Scatter My Ashes at Bergdorf’s puts the scenario into context: “The very best the world has to offer can be found in one block.” As the spotlight shines on Longshore’s artwork in the fashion mecca’s storied windows, which are viewed weekly by some 1.5 million pairs of eyes, it’s only natural that the Crescent City gal would get a little misty-eyed. Excited beyond measure, Longshore hops out of the limo and morphs back into the wildly hilarious and unpredictable Instagram personality that her admirers, patrons, business partners, and friends find so refreshing. 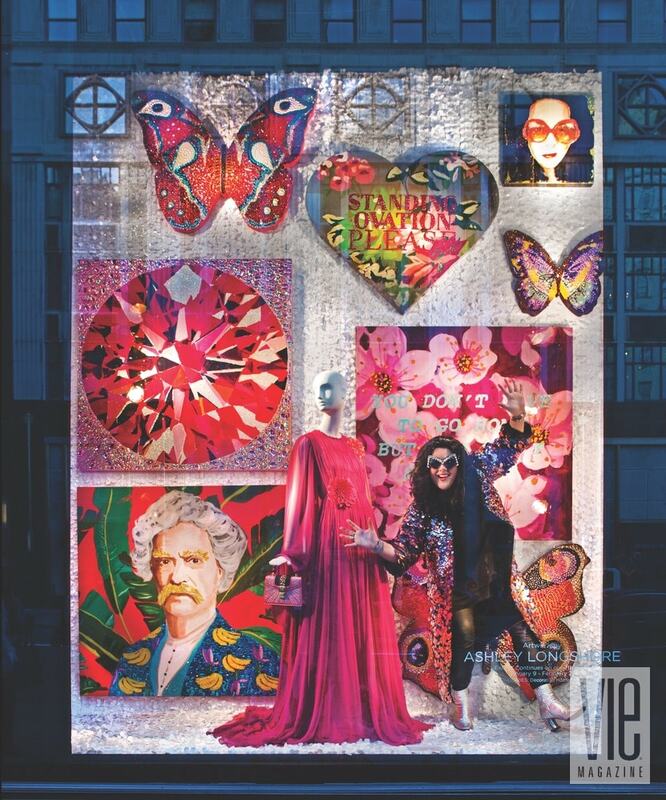 With her usual joie de vivre, she prances in front of the haute couture–dressed mannequins that are surrounded by her artwork. She poses for some photos before going inside the enormous department store to attend the grand opening fête where she is the star attraction in the show of shows. Longshore marks the store’s first solo installation of a female fine artist in its prestigious seventh-floor Decorative Home department. “It will go down as one of the all-time greatest days of my life,” Longshore says. An attendee at the BG x Ashley Longshore opening event posing with a signature Audrey painting. 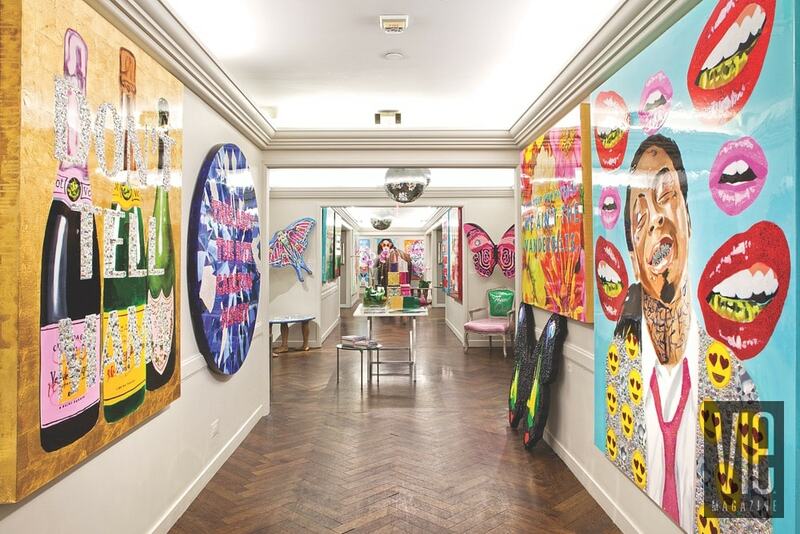 Seven floors up, the artist’s pop-up installation spanned 945 square feet, lining the walls and the corridor in the Bergdorf Goodman Decorative Home section. It was a stroll through Longshore’s imaginative mind. With no shortage of color or bedazzlement, the store displayed more than one hundred of the artist’s most popular pieces. 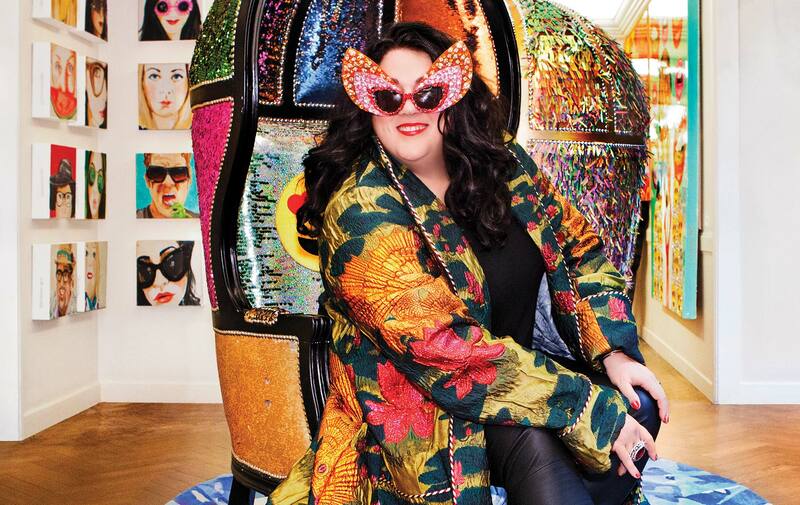 Atop Longshore’s coveted gemstone rugs sat her sequined “Time Out” chairs, butterfly-lined dome chairs, life-size lipstick sculptures, a giant sculptural money roll of Benjamin Franklins, and more. On neighboring display tables were table-top lipstick sculptures, plates that look like gemstones, and lucite trays with “Ashleyisms” on them. Bejeweled butterfly paintings adorned the walls alongside stylized portraits of Grace Kelly, Audrey Hepburn, Frida Kahlo, Kate Moss, Abe Lincoln, Lil Wayne, and Teddy Roosevelt, to name a few. 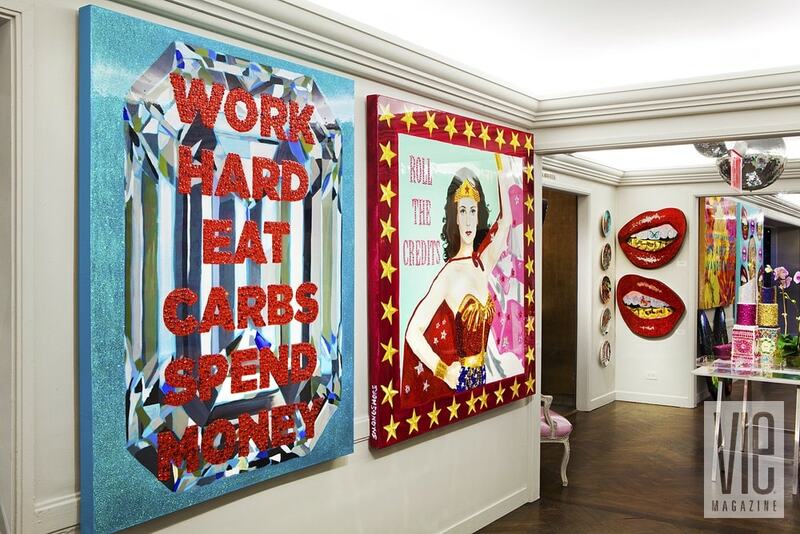 Longshore’s colorful pop art paintings often come with a tongue-in-cheek perspective on today’s culture. 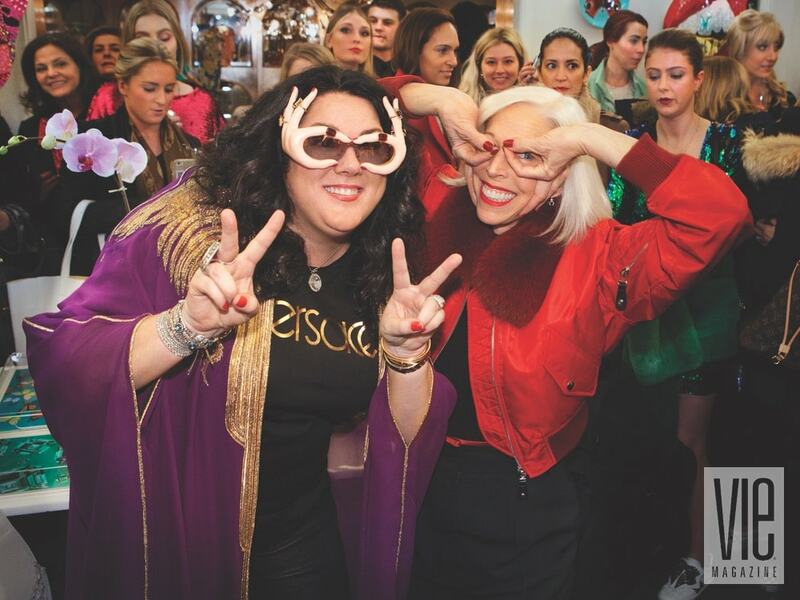 The January 11 celeb-studded grand opening event was an enormous success, covered by all the major New York fashion and style media. In the packed hall, Longshore posed for pics with Real Housewives of New York City alum Kelly Bensimon; TV and film star Blake Lively (who was clutching the Longshore-designed Judith Leiber rhinestone-studded lipstick evening bag); fashion designer Christian Siriano and his husband, music producer Brad Walsh; high-wheeling brand consultants Angie Niles and Wendy Wurtzburger; Beyoncé stylist Ty Hunter; costume designer and stylist June Ambrose; managing director for the Novogratz design duo, Hadi Sattari; and a fashion legend—Bergdorf Goodman’s own senior vice president of the fashion office and store presentation, Linda Fargo. Both a client and a friend of Longshore’s, Lively describes the artist as “one of the most fabulous, fun, empowered she-heroes I know.” Other celebrated Longshore collectors include Penélope Cruz, Salma Hayek, Lorraine Schwartz, Eli Manning, Katherine Heigl, Ryan Reynolds, and some of Wall Street’s top financiers. 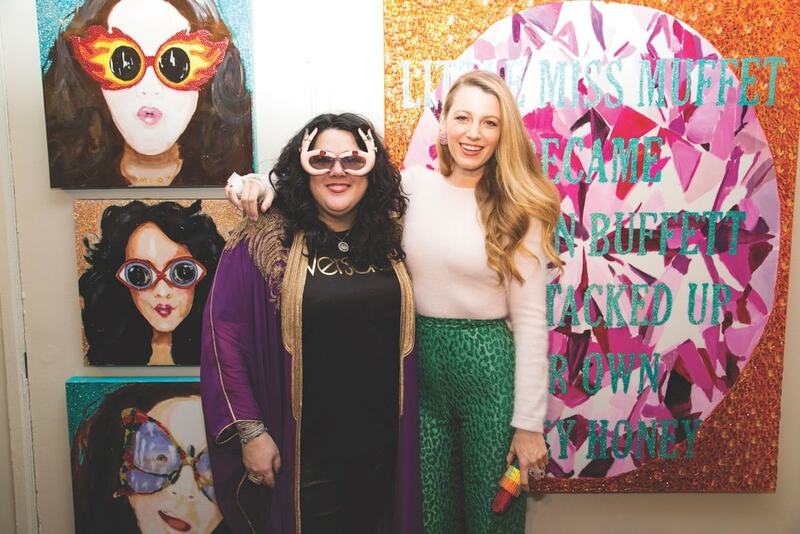 Named one of the top business women of the South by Forbes, Longshore hit the million-dollar mark in sales five years ago and now refers to herself as a “double comma momma.” Her Bergdorf Goodman pop-up installation and boutique were first-time undertakings for the artist and uncharted waters for the retailer, as well. Nonetheless, with a history rich in showcasing leading and emerging designers and artists, BG has relayed to Longshore that her show was one of the greatest success stories the seventh floor has ever seen. While the artrepreneur is enthusiastic about the bump in her revenues, she is equally excited about the worldwide exposure her BG show netted. “We sold to people all over the globe,” she says about the installation’s seven-week run there. Longshore and her team transported hundreds of artworks from New Orleans to New York for the Bergdorf installation, including paintings, sculptures, books, furniture, and more. The Montgomery, Alabama, native, who’s more racehorse than show pony, began to figure out in her teens how to turn her “weird side” into her best side and morph awkwardness into awesomeness. Later, as an established artist, her early experiences and those to come acted as catalysts for humorous representations in paint. For example, Vogue editor-in-chief Anna Wintour unenthusiastically observes crying little girls in the painting Tantrum Tea Party, likely representative of Longshore’s sentiment as a child. On the drive from Oxford, Mississippi, Ashley had heard a song about Montana on the radio and promptly told her father that that was where she wanted to go. After a very short stint in college at Ole Miss (six weeks) to please her parents, Longshore went home to Montgomery. On the drive from Oxford, Mississippi, Ashley had heard a song about Montana on the radio and promptly told her father that that was where she wanted to go. She describes her Montana arrival and the promise of adventure with a meaningful observation: “Not a Southern belle in sight.” Longshore’s spontaneous reaction to an early 1990s Jackopierce lyric proved to be a game changer for the soon-to-be artist. The emergencies-only credit card that Longshore’s father gave her to use at the University of Montana found its way to an art supply store in town. Longshore told her dad, whom she calls “Pappy,” that she was taking up hobbies. Inspired by wanting to be good at something after years of mother-induced extracurriculars, Longshore bought paintbrushes, paint, canvases—and bongo drums. She asserts that her mother probably thought that her daughter couldn’t have sat still long enough to learn something like painting. “Work hard, eat carbs. This thinking was and is what really runs through my mind,” Longshore confirms. Fueled both by rejection on the part of Missoula’s galleries and by a local market saturated with elk, bald eagle, and Native American–inspired paintings, Longshore approached one final gallery with her portfolio during a self-initiated school hiatus. The gallerist liked Longshore’s no-holds-barred work and mounted a show for her. Longshore promoted the opening all over campus and town, had a hand in producing it, and got a local reporter to write a story about it. The event was a success. Ashley sold several paintings, made some money (gave half to the gallery—the usual split and a life lesson) and left the evening feeling as though she “had arrived,” as she recalls. Work hard, eat carbs. This thinking was and is what really runs through my mind. Fast-forward through the artist’s post-college years to now. In between, there was a Locust Valley–lockjaw-trophy-wife-seeking boyfriend, a move to New Orleans, a job in advertising sales, getting fired from that job, a “young and hopeful” marriage, an expensive lesson in negotiating an exhibit in New York, a divorce, and the discovery of Longshore’s true and lasting love, Michael Smith, a New Orleans photographer. Longshore is wearing a Gucci cape and custom Swarovski Endless Echo hat by New York designer Heidi Lee. 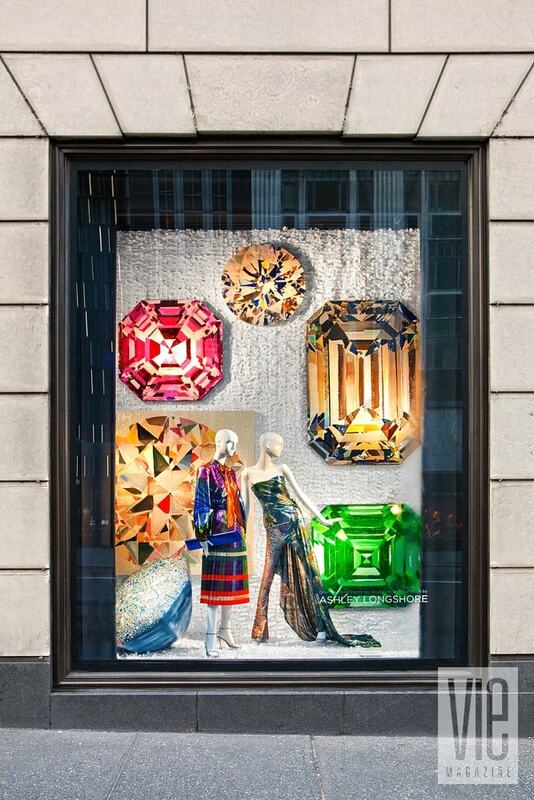 Longshore’s art filled the iconic Bergdorf Goodman windows on Fifth Avenue this past January. Longshore embodies the words of Star Wars Jedi Master Qui-Gon Jinn, who, while training a young Anakin Skywalker (Darth Vader), says, “Always remember, your focus determines your reality.” The resulting personification of that advice for Longshore is an ever-growing list of patrons, fans, affiliations, partnerships, and collaborations. 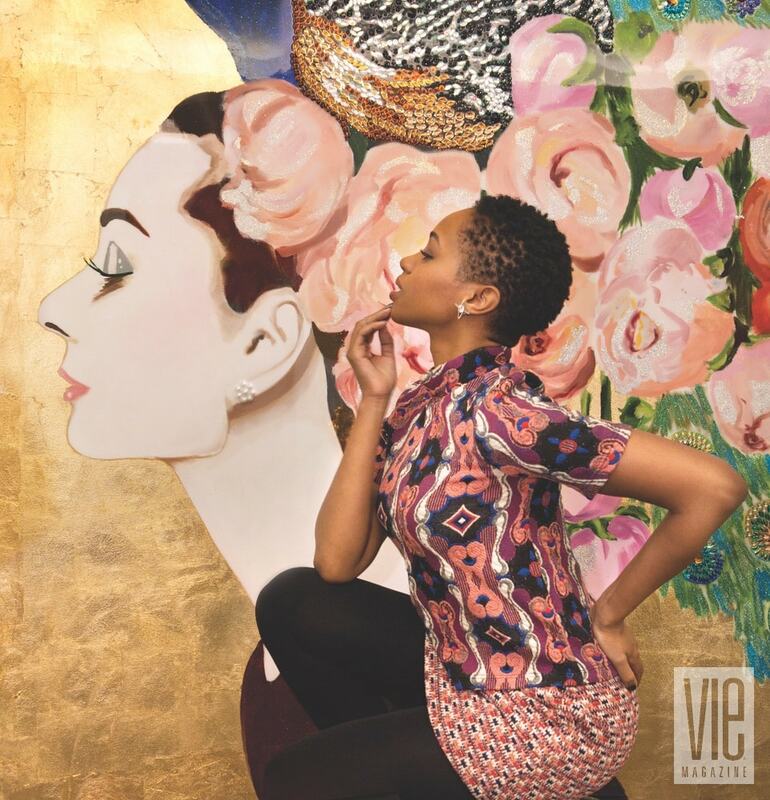 In the last decade, the artrepreneur’s world has exploded upward, something she attributes to the cultivation and nourishment of personal relationships with people who embrace her world and her willingness to hustle. Longshore says, “If somebody inquiries about a painting or collaboration or anything else and leaves their telephone number, I call them up, dammit!” Her talent, infectious humor, jocular perspective on the universe, and incessant positivity, topped with a huge dose of social media—she now has over a hundred thousand Instagram followers—are why existing relationships have mutated into new associations that continue to catapult her into professional validation and financial success. Several years ago, Longshore caught wind of an Anthropologie design-and-branding team’s inspiration trip to New Orleans. She begged a friend who had a connection to “please, please help me get on their schedule.” Longshore says, “I spent every dime I had entertaining the group over an expensive sushi lunch.” The bootstrapping paid off. The boho-chic retailer licensed Longshore’s work for use on ceramic latte bowls, furniture knobs, lampshades, pillows, and Audrey Hepburn–themed weekender bags. The experience was a lesson in how she would shape future collaborative agreements. As the years progressed, Longshore maintained a relationship with Wendy Wurtzburger, Anthropologie’s former global copresident, chief merchandising and design officer, and head curator. Both the experience and the relationship ultimately led to the founding of Longshore’s own manufacturing company in which Wurtzburger is both an advisor and a partner. The boho-chic retailer licensed Longshore’s work for use on ceramic latte bowls, furniture knobs, lampshades, pillows, and Audrey Hepburn–themed weekender bags. Similarly, Longshore credits social media with her connection to Clé de Peau Beauté, the luxury skin-care and makeup brand from Shiseido Cosmetics. On the hunt for an artist to create painterly art deco–inspired limited edition compacts and packaging, Ai Hirakawa, a fashion branding and marketing consultant for the Japan market, had several competing artists under consideration, one of whom was Ashley. After her submission, instead of waiting for a return email, Longshore called Hirakawa and asked her, “Have any of the other artists called you?” They hadn’t. As only Longshore can, she slipped some adept salesmanship into her charming enthusiasm and got the assignment. The company sent her to Shanghai—she is the only artist for whom the company has done this—to its Fearless Beauty global media launch, where Longshore met Amanda Seyfried, the brand muse at the time. Not surprisingly, the artist remains friends with Hirakawa. Not one to demur on anything, Ashley jumped on the outreach and, with a tendency to overdo, upsold the luxury giant. 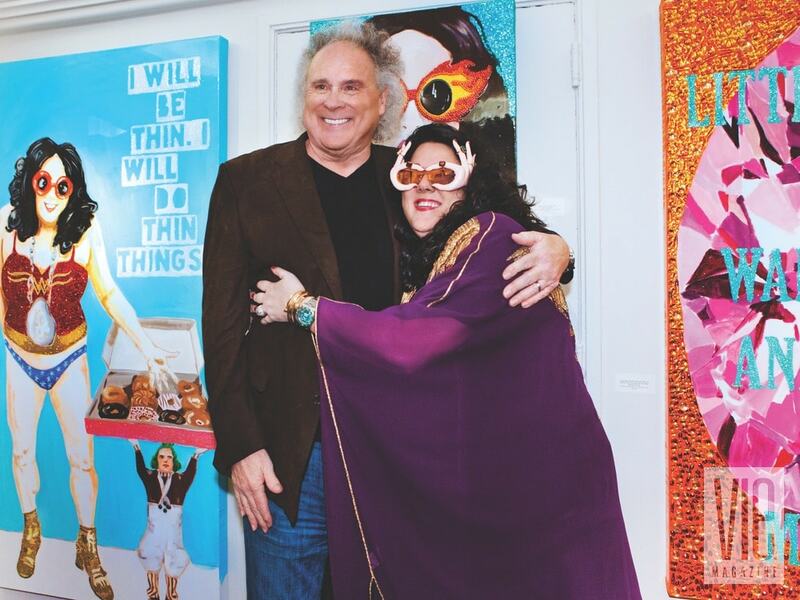 In the interest of considering the New Orleans artist for the store’s annual or semi-annual art-themed exhibit, Dillon reached out to Longshore. Not one to demur on anything, Ashley jumped on the outreach and, with a tendency to overdo, upsold the luxury giant. Longshore says, “You know, go big or go home!” Bergdorf Goodman started out wanting to hang some of Longshore’s paintings and ended up with—well, just look at her painting titled Can You Hear Me Now? Longshore is unwavering in her desire to build her brand. “I want to be the Birkin,” she says of the handmade $20,000-plus Hermès bag named for actress and singer Jane Birkin. As she’s armed with excellent business instincts, her own manufacturing company, desirable artistic talent, and a great sense of humor, the possibilities are endless for this steel magnolia. 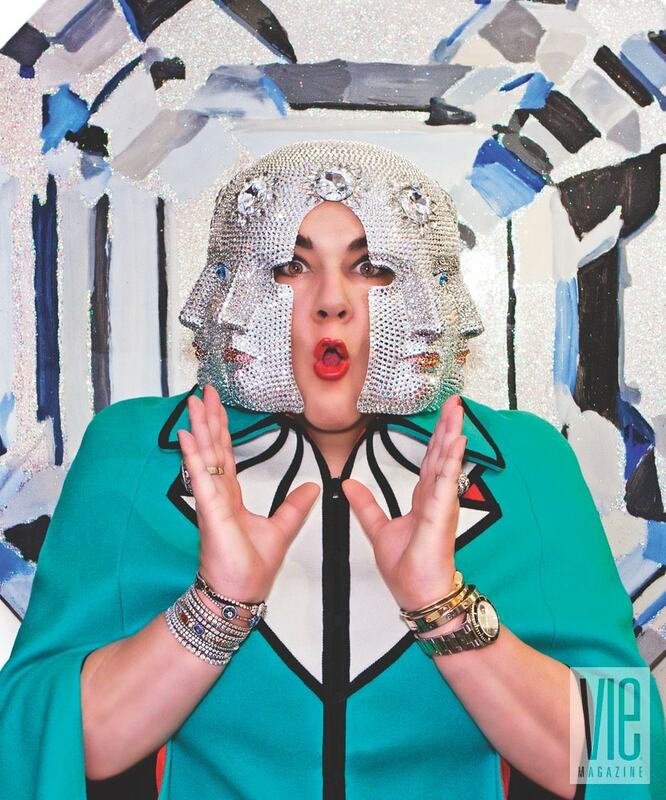 Longshore walks the walk; she celebrates and collects the work of other artists and fashion, jewelry, and accessories designers and encourages them to value themselves. 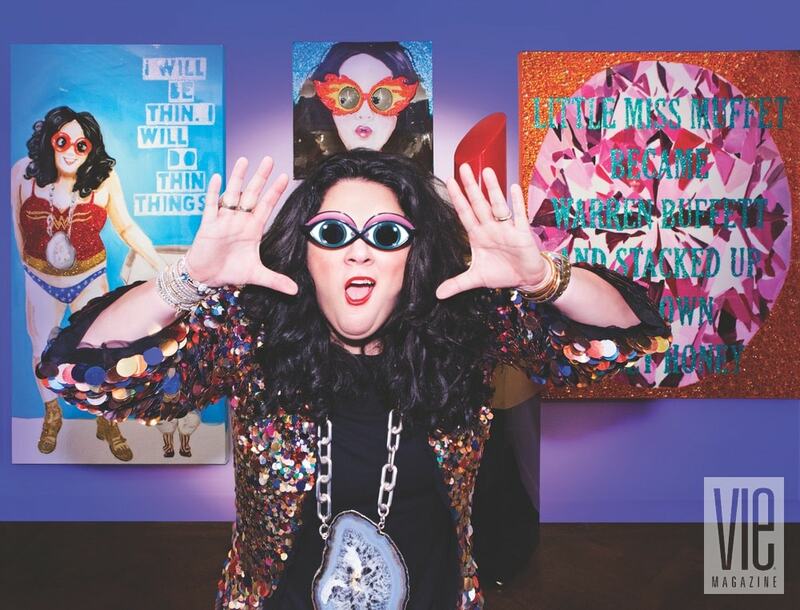 Dismissive of galleries, Longshore says, “I do not f*cking give up 50 percent.” The proof is in the pudding; she’s a case study in the emergence of a painter-turned-brand who, in large part, used technology and social media to propel herself to where she is today. 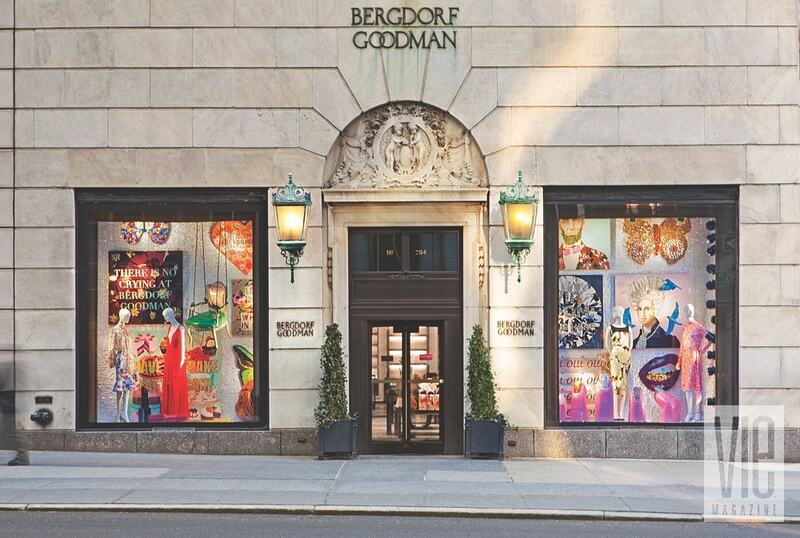 Longshore continues to field calls and emails from around the world resulting from the Bergdorf Goodman show. She has another book due out in 2019, and who knows? There are likely other intriguing collaborations on the horizon that give great reasons for the Jennifer Lawrence of the art world to sign off nearly every Instagram post with #f*ckyeah. To view more photos from Ashley Longshore x Bergdorf Goodman, click here.